ZooZooGames Siau Island Tarsier Escape info about the game-Games2Rule. 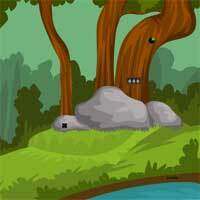 The forest hunter use to hunt all the birds and animals for his own sake and money. The animal rescue organisation searches for him and demands him the most wanted person to get arrested.